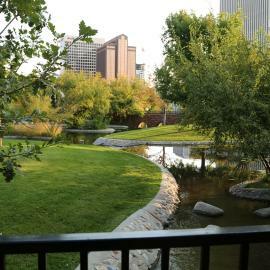 Historic Temple Square and the headquarters of the Church of Jesus Christ of Latter-day Saints (Mormons) are located in the heart of downtown Salt Lake City. 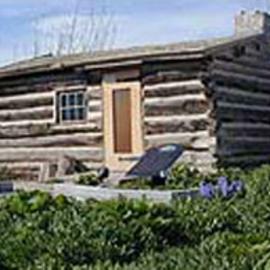 Just four days after arriving in the Salt Lake valley following an arduous trek across the Great Plains, Mormon pioneers designated the location where they would build their church&apos;s first temple in this valley. 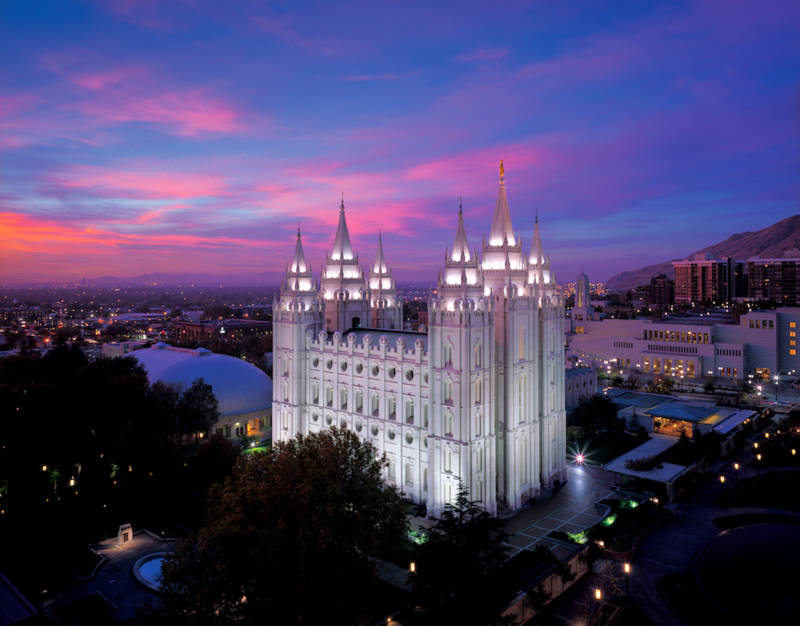 Although the Salt Lake Temple took 40 years to complete once ground was broken, the area surrounding the temple became the center of the city, due to activity at the tabernacle and ongoing construction on the temple. Salt Lake&apos;s gridded street system places Temple Square as its origin; each address is an indication of how many blocks north, south, east or west an that address lies from Temple Square. Temple Square originally referred to the single square block on which the temple stood, but today it refers to a 35-acre area, including the original block in which with the temple, tabernacle, assembly hall, and visitors centers are located; the city block to the east—the site of several historic residences, the Joseph Smith Memorial Building, and the Relief Society Building and Church Office Building; and areas to the north and west where the Museum of Church History and Art, the Family History Library, and the Conference Center are located. In 2001, the original Temple Square block was connected to the block due east by a pedestrian plaza that includes a reflecting pool. 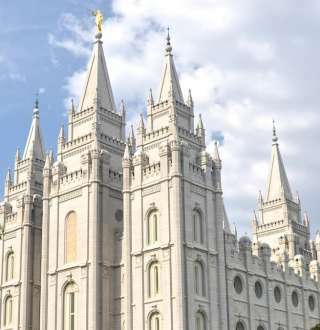 Both the Salt Lake Temple and Conference Center are constructed of quartz monzonite (which looks like granite) sourced from Little Cottonwood Canyon, located 20 miles away. Originally, it took four days for each one of the quartz monzonite blocks to make the journey from the canyon, transported by teams of oxen. When the Transcontinental Railroad was completed in 1869, travel from Little Cottonwood Canyon to Temple Square became much quicker, as the blocks were transported by rail. The walls of the temple, built of those quartz monzonite blocks, measure nine feet thick at the base and six feet thick at the top. 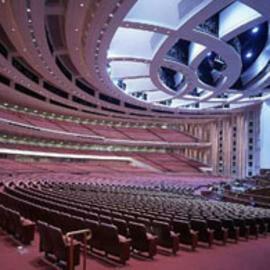 In 2001, the Conference Center was completed, featuring 21,000 seats in the main auditorium and occupying an area big enough to hold two Boeing 747s side by side. It&apos;s believed to be one of the largest theatre-style auditoriums ever built. 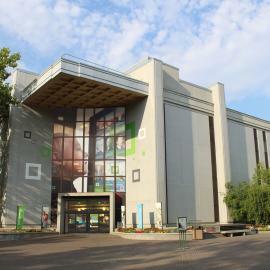 The roof of the Conference Center features approximately three acres of landscaped grass and trees. Temple Square is the most visited attraction in Utah, with an estimated 3 to 5 million regional, national, and international visitors each year. 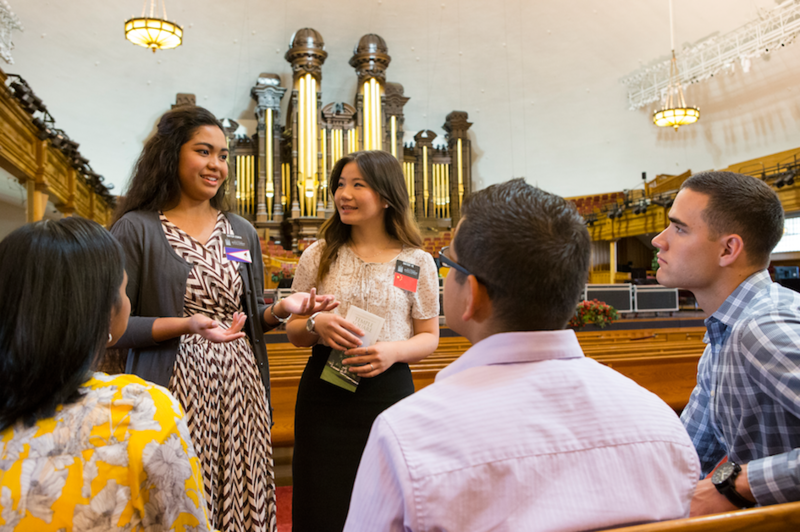 Free tours of the grounds, Conference Center, and historical residences are available in over 40 languages, and you can make your visit to Temple Square a complete historical journey with the Pioneer History Walking Tour. 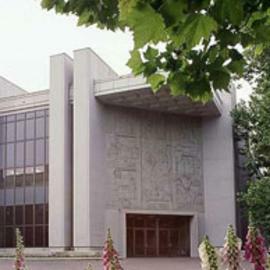 The temple is regarded by the LDS Church as sacred and is not open for tours. During the spring and summer, the gorgeous gardens, flowers, and landscaping are reason enough to stroll through the grounds. 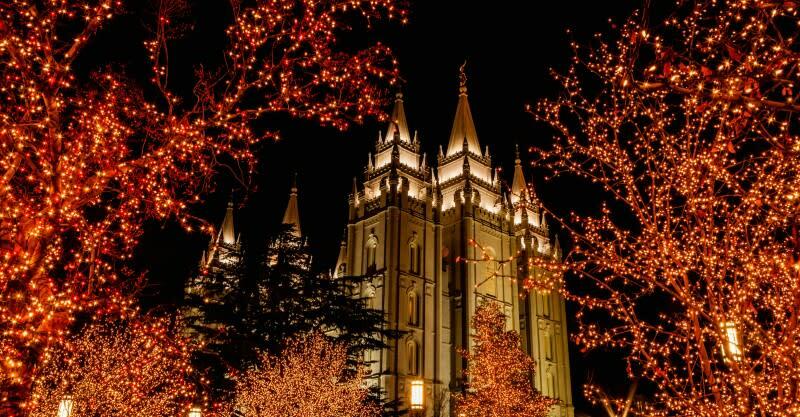 The holiday lights adorning Temple Square attract tens of thousands of visitors from Thanksgiving to New Years. 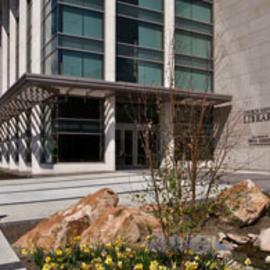 One of the most popular activities available at Temple Square is Family History research. For beginners, the Family Search Center is staffed with volunteers who can assist you in getting started. For more in-depth research, the Family History Library has more than 2.4 million rolls of microfilmed genealogical records—it&apos;s the world&apos;s largest genealogical repository. 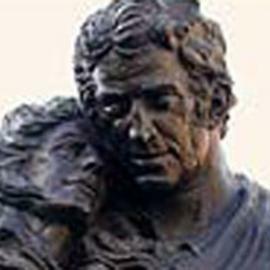 Start planning your research trip with our genealogy itinerary. 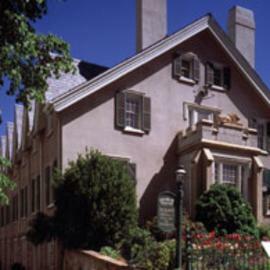 The Lion House Pantry, located in the original home of Brigham Young, the LDS church&apos;s second president and Utah&apos;s first governor, offers home-style meals made from recipes passed down through generations. 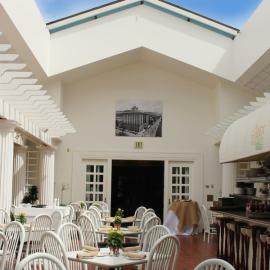 The menus rotates daily, featuring such mouth-watering comfort food as pot pie, prime rib, corn chowder, crab-stuffed tomato salad, and the famous Lion House rolls. 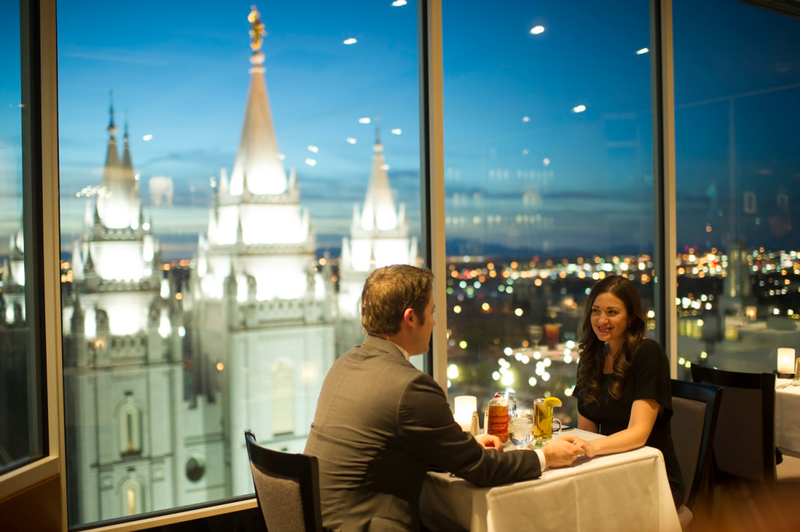 The Roof Restaurant, located on the 10th floor of the Joseph Smith Memorial Building, is a gourmet dining buffet offering views as amazing at the international cuisine and desserts. 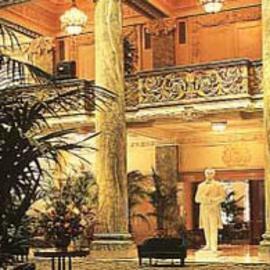 The Garden Restaurant is also located on the 10th floor of the Joseph Smith Memorial Building, and offers a full menu in a semi-casual setting, where you&apos;ll dine surrounded by a historic open-air gardens, fountains, and a retractable glass roof. 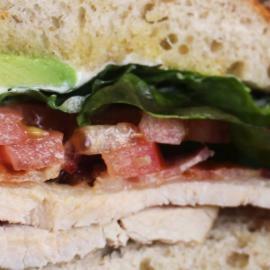 The Nauvoo Cafe is an inexpensive and wonderfully satisfying spot to stop in for breakfast or lunch items such as omelets, sandwiches, soups, and salads. 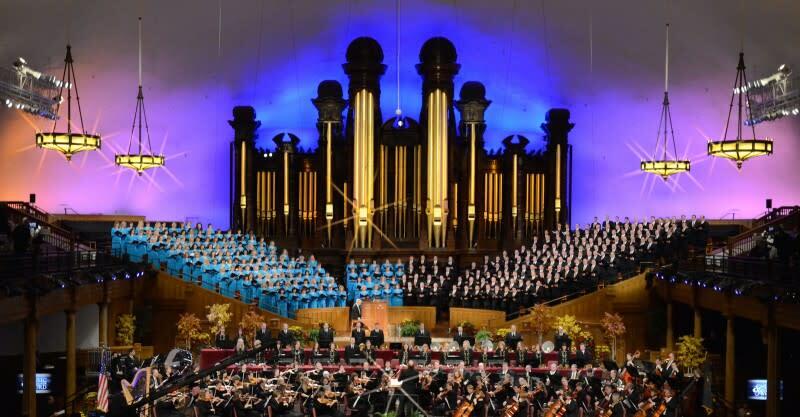 The Mormon Tabernacle Choir holds rehearsals (free and open to the public) on Thursday evenings, and broadcasts its Music and The Spoken Word program (also free and open to the public) on Sunday mornings. 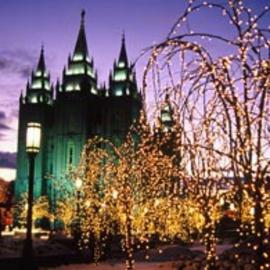 Various other performances,including concerts, events, and theatrical productions, take place at Temple Square throughout the year. 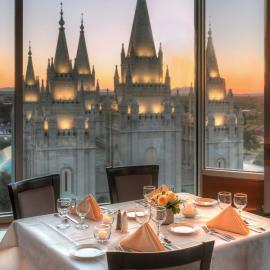 Check out the official Temple Square Event Calendar for more details. 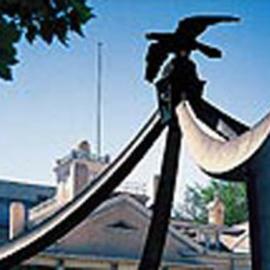 If you&apos;re looking to host an event of your own at Temple Square, The Lion House building is available for kids&apos; parties, and the Joseph Smith Memorial Building can be reserved for reunions. 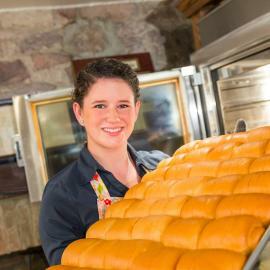 A "Pioneer Meal" at Temple Square&apos;s Lion House Pantry is available as part of the Visit Salt Lake Connect Pass, which saves you between 50 and 80% on regular admission prices to 15 of Salt Lake&apos;s most fascinating attractions. Learn more about the Connect Pass here. Make your own tour by adding the locations below to your Favorites.